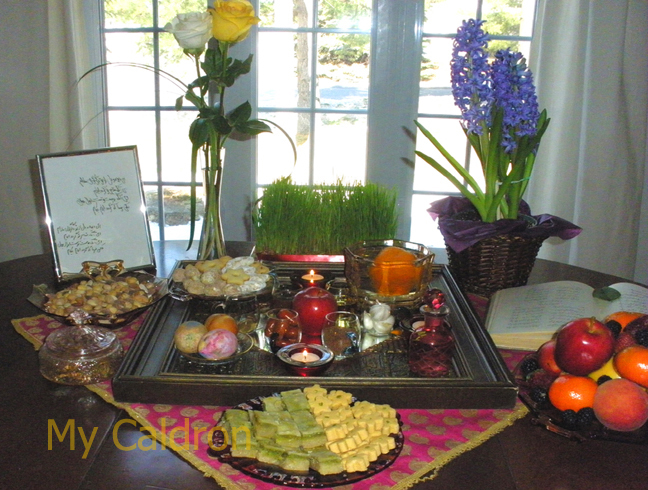 Happy Norooz Everyone! Have a year full of peace, health, love and prosperity! emrooz etefaghi ba weblog et ashena shodam az tarighe Shamshiri cafe. rastesh ntoonestam didanesh ro stop konam.aalie. az hame chi didam o doos dashtam, pishie maloos, sage khoshgeletoon.salighe khoobetoon.hame chi aali. arezoohaye behtarin ha ro baratoon daram dar sale jadid.midoonam k hamamoon ham koli arezoohaye tekrari dashtim emsaal, vali omidvaram sale dige tekrara nashan.